LA's Gari Safari has ‘transformed the American club scene’, attracting old and new clubbers with an apparently unique themed event that’s already travelled from New York's Output to Ecuador's Lost Beach Club. 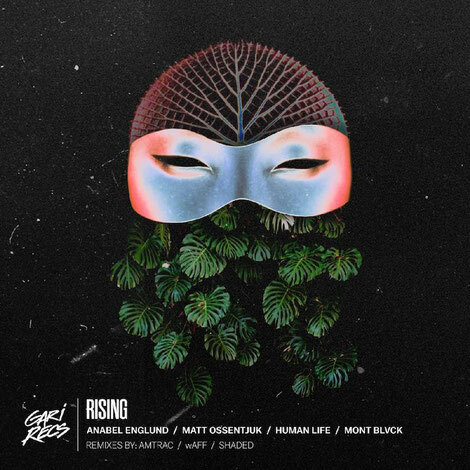 An all encompassing sensory experience, its soundtrack of contemporary house and techno is served up by residents and founders Anabel Englund, Human Life, Matt Ossentjuk and Mont Blvck (aka Jackson Englund, Anabel's brother, and Diego Cuevas). Now, after two years hard work, the team are launching their own spin-off label Gari Recs with the first release 'Rising', a collaboration between all parties, out on 8 December with remixes from Amtrac, wAFF and SHADED. The original, a melodic synth-driven burner built around warm alternating chords, showcases the allure of Anabel's distinctive vocals, which have previously seen her achieve success fronting Hot Natured tracks such as 'Reverse Skydiving' and working with Lee Foss and MK as Pleasure State. Amtrac adds an arpeggiated Italo twist for disco floors, wAFF turns in a tough trademark tech-houser and SHADED gets to work chopping up the vocal before adding extra shuffle to the groove. Each Gari Safari party is a safari themed event that transforms the venue via art installations and lighting, face-painting and themed cocktails adding to their dress up vibe. The music policy, meanwhile, mixes traditional DJ sets with live performances, Mont Blvck's sound - showcased on debut single 'Gimme' - a blend of traditional instruments, live vocals and electronic sounds (Diego's dad was also the singer in Chilean rock band La Ley). Having since released on labels such as Defected and Avotre, and collaborated with the likes of Adana Twins and Santé, Human Life, aka Matthew Wasley, first collaborated with Anabel when she was just 18 years old after meeting at a house party. It's this close-knit spirit that Gari Safari still evokes, inviting clubbers new and old into its familial atmosphere. Rounding out the Gari crew is Matt Ossentjuk. A childhood friend of Englund’s since age 15, Matt’s DJ skills play a key role while his productions have already led to releases on Germany’s My Favourite Freaks, Blu Fin and more. "Gari is about breaking down the walls that separate music into different genres and scenes,” says Matt on their ethos. “At the Gari Safari events we focus on creating an environment that you can enjoy if you are a seasoned underground electronic music fan just as easily as those who don't find themselves out at nightclubs very often. It's about firming that special bond and vibe with our unique followers to create something special."